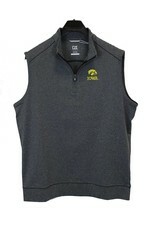 Support your Iowa Hawkeyes in this great looking half zip vest in the Shoreline fabric you love. A brushed melange stripe body with a mock neck half zip design. 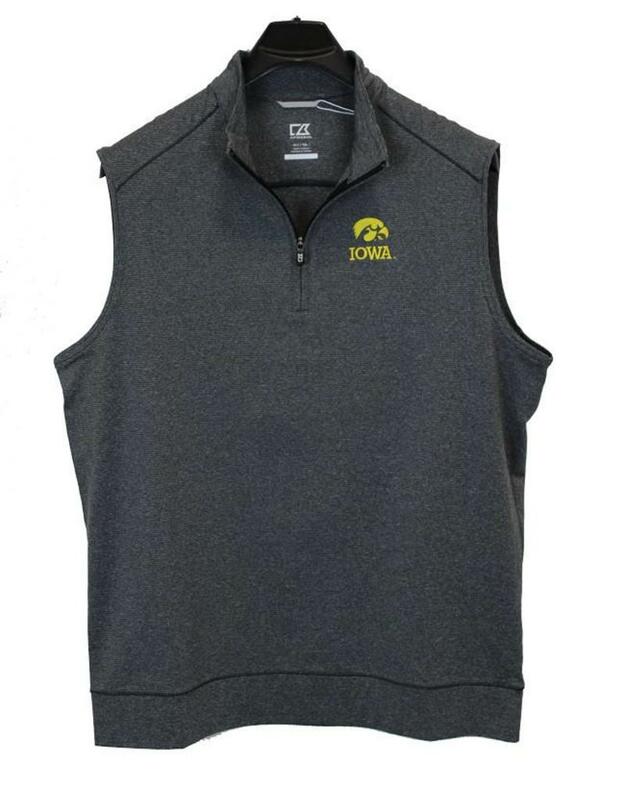 It is crafted in a moisture wicking fleece fabric with UPF 50 sun protection and a banded bottom. The Iowa State logo is embroidered at left chest. A perfect layering piece.